The larger of two airbag recalls applies to 234,054 Audi Q5 vehicles from model years 2011 through 2017. WASHINGTON -- Volkswagen Group is recalling hundreds of thousands of cars and SUVs in the U.S., almost all of them Audi models, to fix two airbag defects and coolant pumps that may overheat and cause fires. The larger of two airbag recalls applies to 234,054 Audi Q5 vehicles from model years 2011 through 2017, the U.S. National Highway Traffic Safety Administration said in a notice posted Saturday on its website. The sunroof drainage system on those SUVs may allow water to soak the foam surrounding the side-curtain airbag’s inflator canister and corrode it, possibly causing the canister to rupture and spray the driver or occupants with metal fragments in an accident, the agency said. The recall stems from incidents reported in 2016 in China and Israel. Dealers will remove the foam pieces and replace any corroded canisters. Audi modified its production process in July to better protect the canister, according to the recall notice. 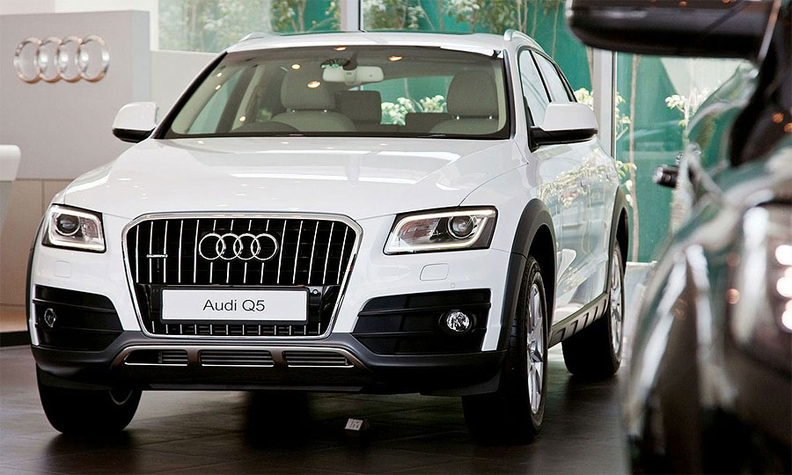 Some of those Q5s are also subject to recall for a coolant-pump malfunction. The recall applies to a total of 342,867 Audi Q5s, A5s and A5 Cabriolets from model years 2013-17; Audi Allroads and Audi A4s from 2013-16; and Audi A6s from 2012-2015 -- all equipped with 2-liter turbocharged FSI engines. The pump can be blocked by debris from the cooling system and overheat, according to a NHTSA notice. The automaker has developed software that turns off the pump’s power supply if it becomes blocked, the agency said. A separate recall tied to defects in airbags and seat belts affects 5,901 Audi and Volkswagen vehicles from the 2017 and 2018 model years, NHTSA said. The driver-side airbags on 2017 Audi A7s, A4s and A6s and Volkswagen Golf, e-Golf and Tiguan models may not deploy properly. On some 2017 Audi Q7s, A4, A4 Allroad and 2016 Audi Q5 vehicles, the seat-belt pretensioners may not activate properly. Dealers will replace the airbags and seat belt pretensioners on those vehicles, NHTSA said.